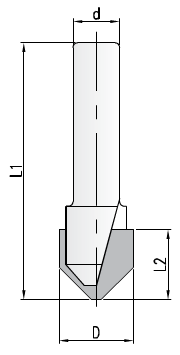 The 6975 Series as a multi-purpose, adjustable insert router bit which is uniquely designed for radius and chamfer cuts on both the top and bottom edges of various materials and thicknesses including particle board and MDF as well as soft and hard woods. 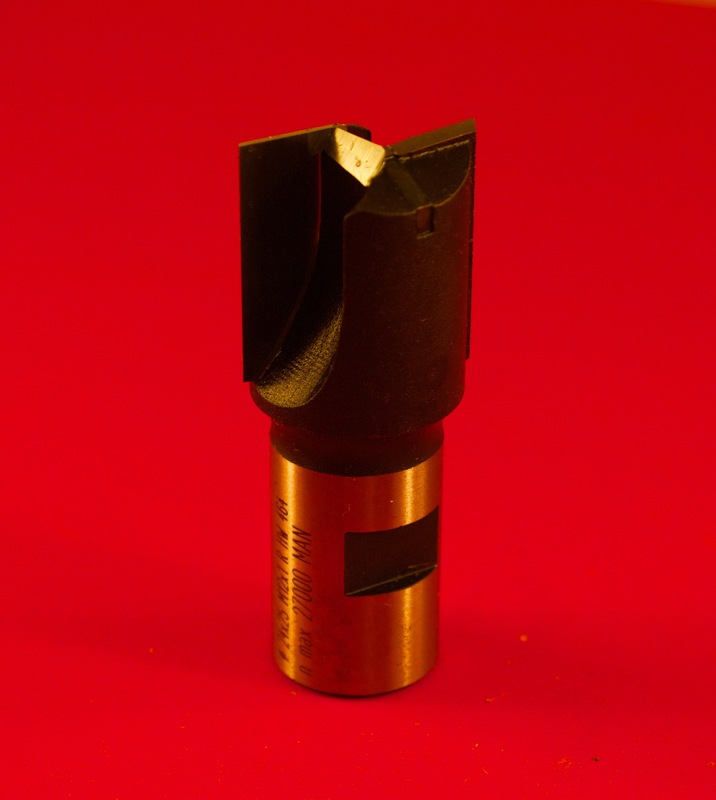 The 6975 Series is designed to provide the benefits of carbide with the cost savings of insert tooling. 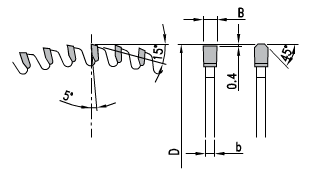 Depending on the desired profile and material thickness, this insert router bit is available in two versions. Tool No. 1 is available for standard material thicknesses of 5/8”, ¾”, 1” & 1-1/4”. The larger tool No. 2 is available for material thicknesses up to 2” +. To adjust the inserts, loosen the screws and move the inserts up or down to accommodate the desired material thickness. Once located, simply tighten the screws! Standard profile inserts are available for beveling and corner rounding on the top, bottom or both sides of the material. 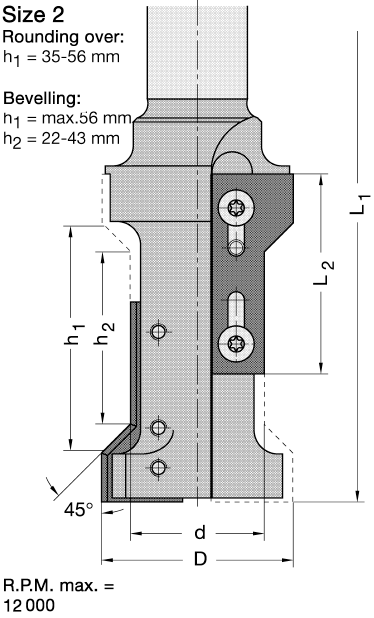 In addition, blank inserts are available to produce a wide range of special profiles as shown below. 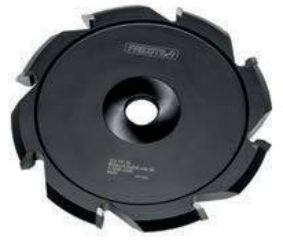 With our in-house grinding service, we offer quick turnaround on special profiles. Are you looking for the right hinge to create a streamlined, invisible look on your doors? 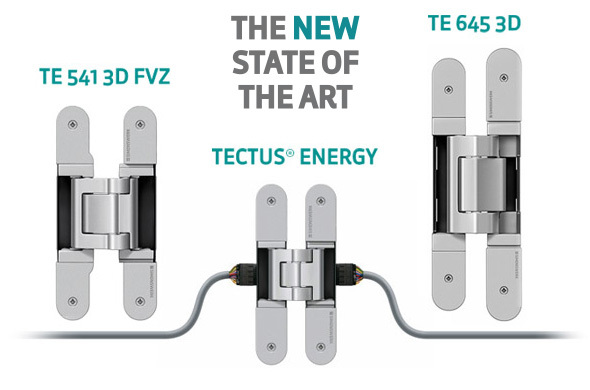 The Tectus Hinge gives you an overall seamless quality that is unmatched in the current market and is fully adjustable even after installation. Tectus offers a complete range of hinges for door capacities from 88lbs to 352lbs with thicknesses from 1inch to 1-7/8”. These hinges are cast aluminum alloy and are engineered for use with large and heavy doors. 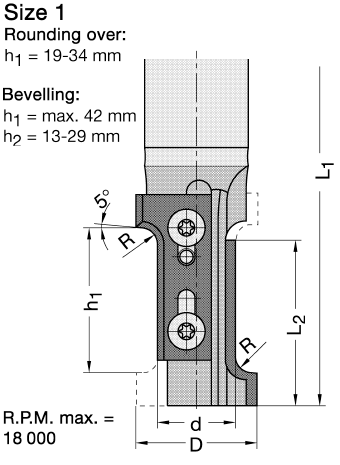 Most Tectus systems use two hinges versus three and these hinges are made to last for the life of the structure. Finding the right tool to prepare the frame and door leaf to accept Tectus Hinges can be a challenge. Look no further, we have the tools needed. Contact us to order today! 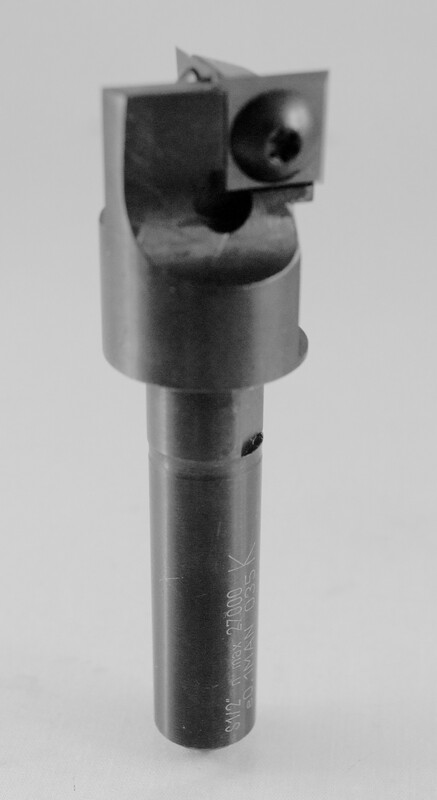 We supply both the router bits and extensions needed for accurate hinge placement.